New Tesla Sports Car will take you to Mars. Well we know it looks weird when we talk about a car going to space in the absence of highways. However this is real guys as Elon Musk is serious this time in sending his sports car to Mars. You might be still thinking how this is possible? 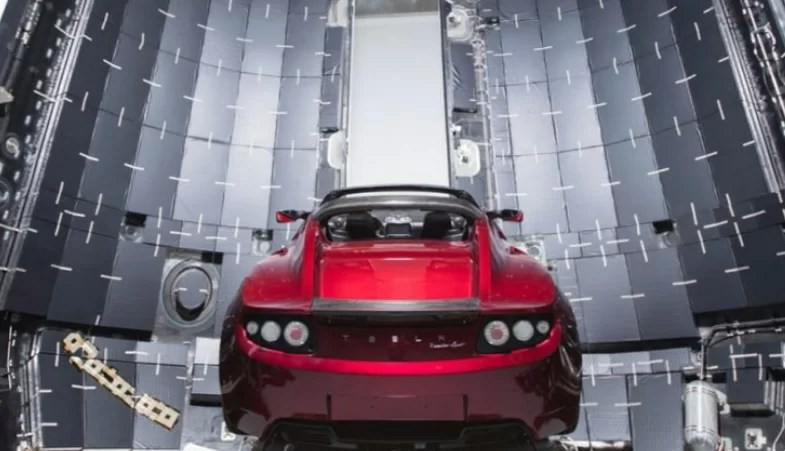 For you information the new tesla sports car after the announcement made by Musk will be launched by SpaceX for travelling to the Red Planet. So if you still think that it is wrong then you might check his Instagram account. How New Tesla Sports Car will go to Mars? Well till right now we just came to know that this is going to take place through the Falcon Heavy Rocket by SpaceX. No matter that Falcon Heavy Rocket is the most powerful rocket right at the moment on this planet. News suggest that Falcon Heavy is going to take its first thrust in the coming month. Falcon Heavy is going to have its very first pre-launch test at Cape Carnival. Musk said that the new Tesla Sports car will get the ride along with the rocket. According to him, the test flights carry the things like concrete and steel blocks so he wants to change things a bit. Most of us know that Elon Musk is the person who keeps up to what he says. If it is about making the world’s largest battery in 60 days or just sending new Tesla sports car to the Red planet. Well for the instance no one is driving this car on the Red planet. The purpose is just to test what Falcon Heavy can have a good company or not. Who knows one day people might go to Red Planet and dust the wheels of this car in Martian atmosphere.